Crystal suncatchers handmade with beautiful rhinestone pendant charms. 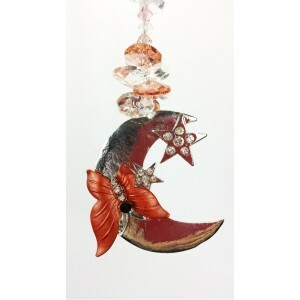 Stunning new crystal suncatchers handmade with top quality large rhinestone pendants. We have skulls, pegasus, butterfly, dragonfly, dolphin designs and more. 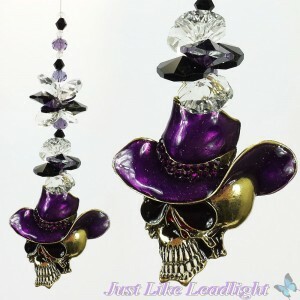 New Rhinestone Skull suncatcher. 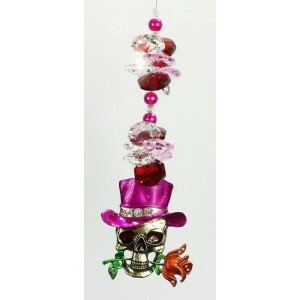 Comes in 4 colour choices depicted by the hat colour - red, pink, ..
Rhinestone Cowboy Skull Suncatcher Comes in 4 colour choices depicted by the hat colour - orange, y..